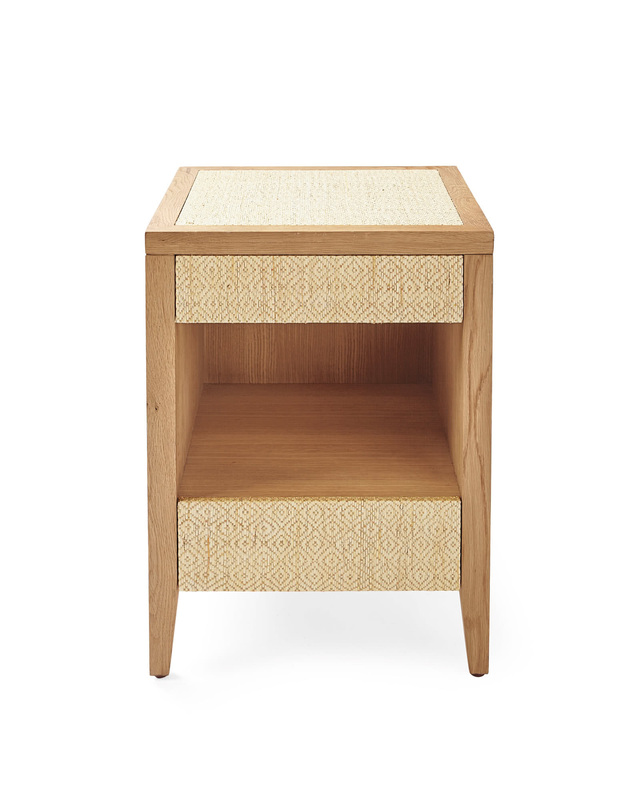 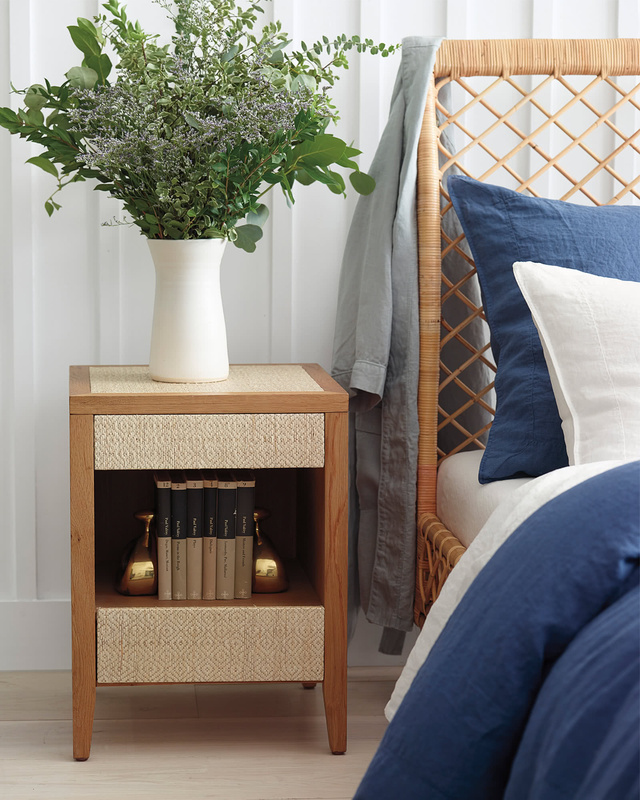 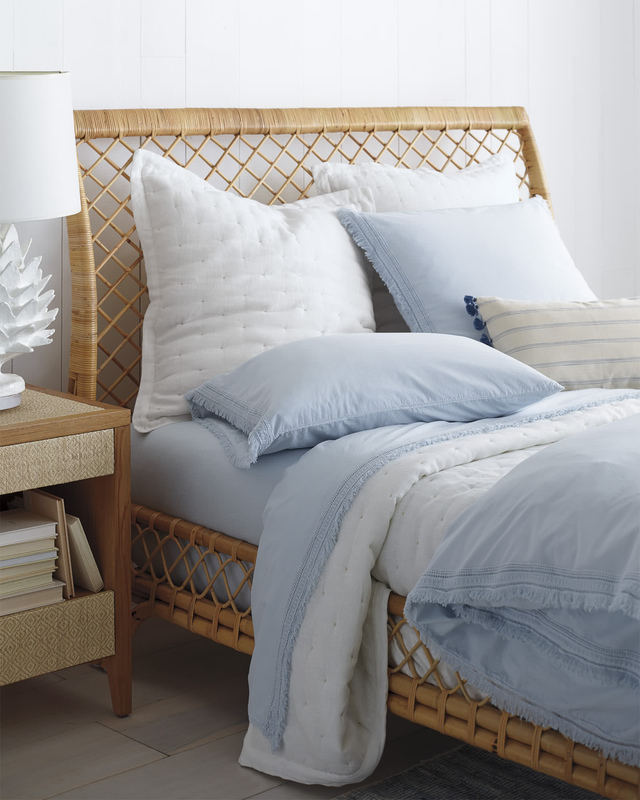 Hayes NightstandHayes Nightstand, alt="Hayes Nightstand, "
Print The texture of a two-toned raffia diamond pattern meets the smooth, straight grain of oak. 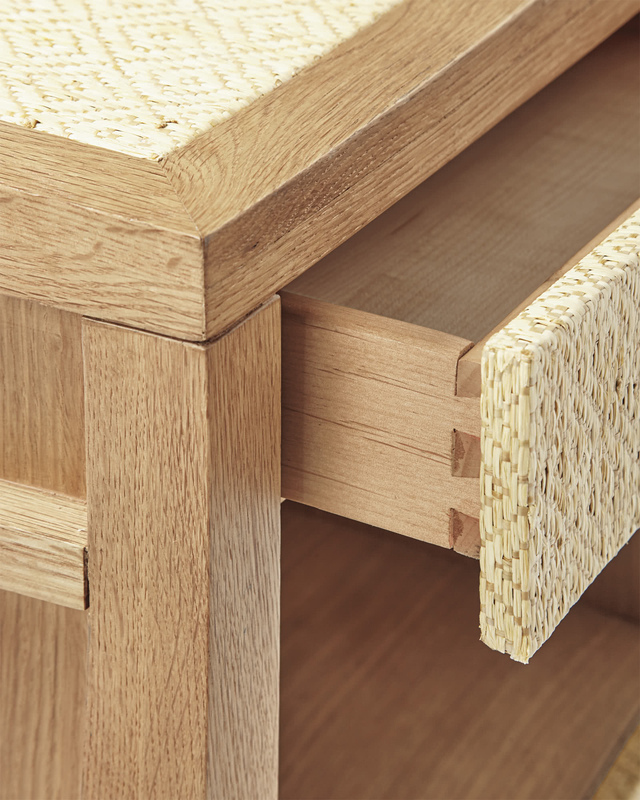 Tonal warmth keeps this casual, while exposed framework makes an unexpected statement in structure. 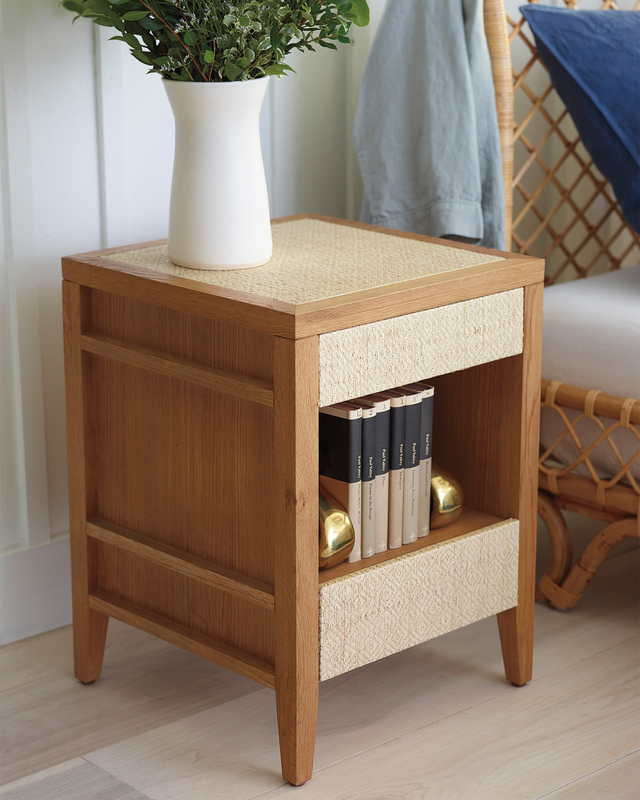 The compact size is great for smaller spaces. 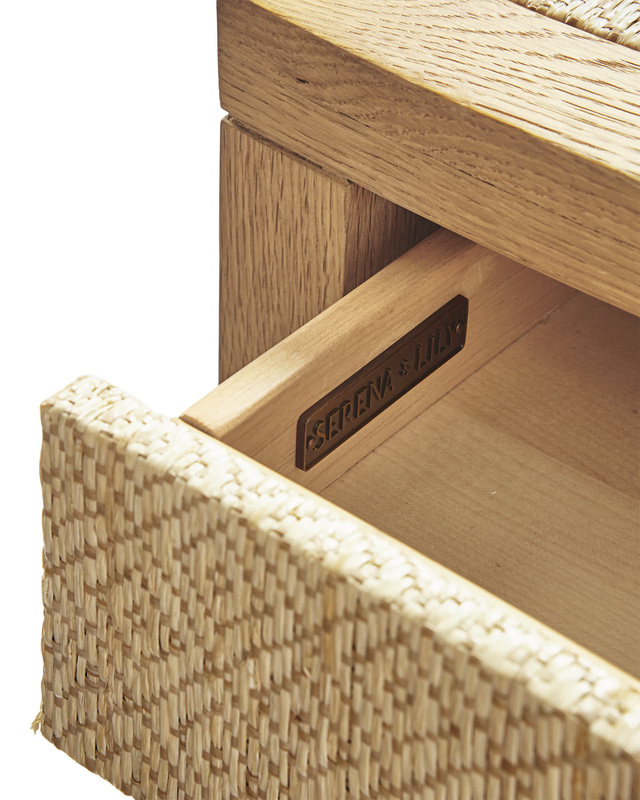 Two drawers with wooden glides. 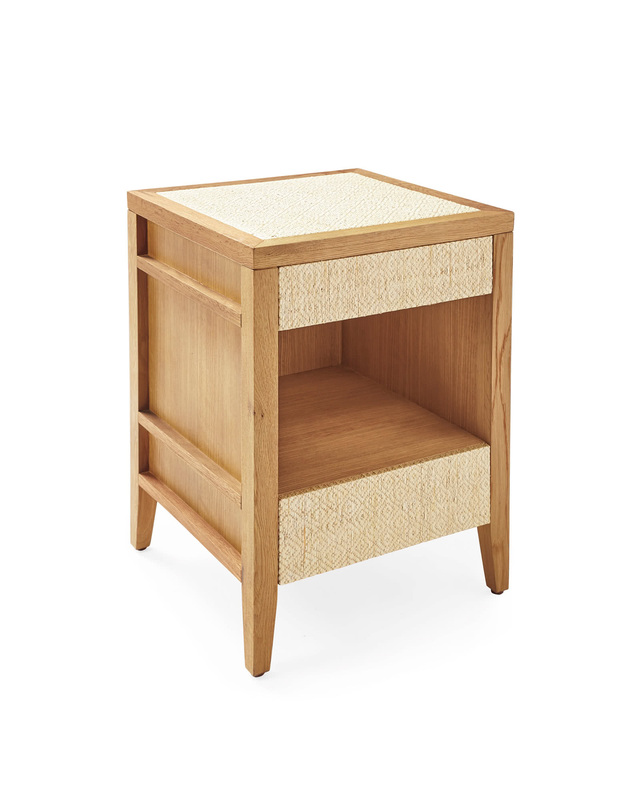 Upper drawer: 13”W x 15”D x 1.5"H.
Lower drawer: 13”W x 15”D x 2.5"H.